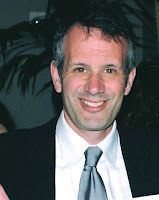 Meet The Toad aka Alan Wolk, the man behind the long running and previously anonymous ad blog, The Toad Stool. That's right kiddos! He's out of the adblog closet and ready to talk shop. Grab your lunch and settle in. Alan is going to take us through why he was anonymous; what his agency, DraftFCB thought about his blogging, as well as his take on what role and how social media plays out in the ad biz. Enjoy! 1. You've been penning your blog, The Toad Stool, anonymously since December 2006. Why did you originally seek out anonymity and why now, have you discarded it? When I started the blog, it was really just as an experiment, to familiarize myself with the space. I didn't think anyone other than the three or four friends I'd told would actually read it. I also didn't know where I was going with it, and so a pseudonym seemed like a good idea.